Red Spirit Energy Healing is just one page within 1,682 million* web sites currently registered on the internet, and yet here you are. Just browsing, a specific search, or the recommendation of a friend has brought you to this point in time. Either way, you're obviously looking for something, are you not? Your search could be in regards to your health, relationships, career, your home, or a more spiritual direction. It's likely you have invested a lot of time and money improving your health, as well as personal development, yet not quite reaching the outcome you desire. Trust me when I say, it's not just you. We continually meet people from all walks of life, from around the world, all sharing similar challenges. So what is holding you back? I know it's common within the world of therapeutic change and performance enhancement, to claim the only thing holding you back is You. At some level this is true, but you're a very complex soul and there are many invisible factors that influence your experience of human life. These are factors that contemporary medicine doesn't accept, and are unlikely to be explored in any self-help book. And in regards to self-help books, you may have read how some authors describe specific causes for certain conditions. You can throw that concept out the window as there is no one cause fits all. 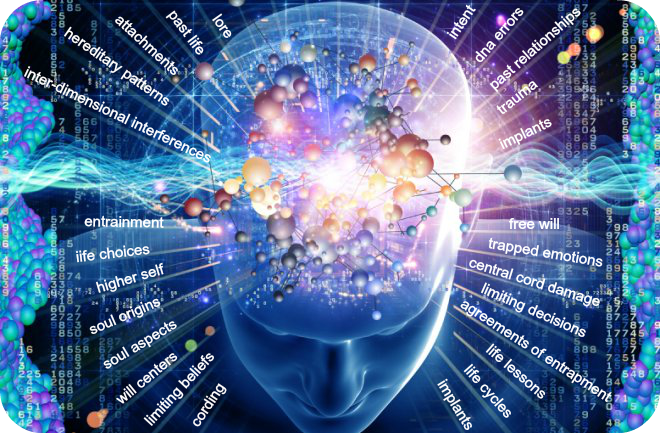 Our role within the modality of energy healing is to help you determine what unique, invisible factors, affect you, and change them if possible. It's about turning the invisible into the visible, in order to help you clear the blockages that are restricting your flow in life. How many invisible factors are influencing your life experience? Before we answer that, Christine and I need to warn you that we're crazy people. All our friends know it and you should too. Why? Because we regularly work with other beings, and cross into other dimensions, in order to help our clients. We also have the crazy notion that everyone has limitless potential for change. On top of this, we know our proven techniques can be applied to anyone, anywhere on the planet. We also believe there are many "new age" concepts floating around that are either very misguided, or outdated, along with a plethora of fear based misinformation on the web. So duly warned, you may find the information in our website goes against some common thinking. We make no apology for that, and we don't expect you to believe anything you read here. We just ask you to consider it. In this regards I offer you a quote from Wisdom for the Way by Bruce Lee (1940–1973). "Absorb what is useful, discard what is useless, and add what is specifically your own." Answering the question, where to from here? That depends on what you are looking for. The feeling of being stuck, prevented from moving forward? Misguided energies attached to you or your home? A chronic health problem that you can't resolve? People in your life you can't break away from? Emotional issues that continue to affect you? Limiting family patterns influencing you? A burning desire to learn and grow? ...then perhaps we can help. Since founding Red Spirit Energy Healing in 2007, Chris and I have developed a unique combination of techniques designed to initiate healing across all dimensions of your existence. We do not use any machines or gadgets. Fundamentally, it's all about restoring your flow as an energy being, by revealing the invisible factors that are holding you back in life. We recognise you as a multi-dimensional energy being. In fact, you are a being of light in a multi-dimensional universe. With this understanding, we can assist you to access the cause of imbalances in your life that are beyond the reach of other healing modalities. What this means is that we can address imbalances in this life, any past life, and even that of your ancestors if needed. We can also access your DNA for healing on other dimensions not understood by medical science. And it's possible to offer this wherever you are on the planet through the techniques of distant healing. Disease and disharmony in life can be indicators that you are not following your life path. Our techniques are designed to bring you back on track into spiritual alignment. What can take you off track? Now that is a good question, isn't it? Again, it's those invisible factors. Within these pages we have attempted to present a better understanding of who you are and what factors influence you as a soul on planet Earth. One last mention before you continue your search. You are free to navigate your way through our site to find what you need to know. And to help in that search, we do offer a Free Discovery Session. If you choose to work with us toward changing your life, the bottom line is that you have to accept responsibility. We can work with you, but can't do it for you. We guarantee our commitment, but not specific outcomes. It may just be that we have the tools to help you make the changes needed and regain your path in life. Thank you for visiting, may you have an exciting journey, and remember to...absorb what is useful, discard what is useless, and add what is specifically your own. Upcoming events, workshops, seminars and training. This includes upcoming events for Red Spirit as well as others who have something valuable to offer. If you choose to work with us toward life change, you have to accept you are responsible. We can work with you, but can't do it for you. 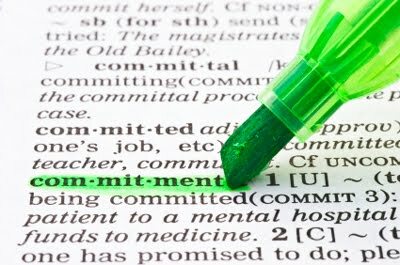 We can guarantee our commitment, but not specific outcomes. Our offer of commitment can be viewed here.